Some of the very best submissions to the PanoramaClub this month (October 2012). You can find more of our best submissions from other months in the group favourites. I'm thinking of uploading some of my work for full resolution download through the new 'Premium content' system here. I've already submitted one, Sunshine, to give an idea of what I mean. Any feedback on this would be hugely useful to me; such as what you think is a reasonable price, and whether you'd prefer just one full res JPEG, or a selection of common aspect ratios (ie, for wallpaper use). Also, whether you'd even consider buying them! Some of the very best submissions to the PanoramaClub this month (September 2012). Some really high quality submissions this month! Some of the very best submissions to the PanoramaClub this month (August 2012). 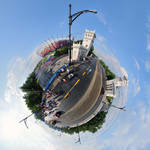 Some of the very best submissions to the PanoramaClub this month (July 2012). Some of the very best submissions to the PanoramaClub this month (June 2012). Some of the very best submissions to the PanoramaClub this month (May 2012). Some of the very best submissions to the PanoramaClub this month (April 2012). Some of the very best submissions to the PanoramaClub this month (March 2012) (and one of the best selections so far in my opinion!). Some of the very best submissions to the PanoramaClub this month (February 2012). Some of the very best submissions to the PanoramaClub this month (January 2012). Some of the very best submissions to the PanoramaClub this month (December 2011). 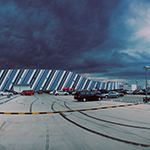 Some of the very best submissions to the PanoramaClub this month (November 2011). Some of the very best submissions to the PanoramaClub this month (October 2011). As you may have noticed, I've uploaded a few images from my holiday to France this spring. Apologies for the mass upload, but I felt I should upload them together as they represent the trip as a whole. Merci pour tout le soutien! So, I've decided to start selling prints of my work through dA. I know there are a number of things which aren't exactly perfect about the prints program here, but I've taken the view that if I want to actually sell something, I'll just have to work with what I get. So here we are. I've begun uploading the print files for my better (more popular) images, and you can see which are available as prints here. Of course, if there's an image you'd like in print that isn't already uploaded - feel very free to request it! I'm absolutely over the moon. Thank you so, so, so much to NettyC for the suggestion and kinipelahh for the feature, I really, really appreciate it! I'm quite pleased with the results myself, and I'm really hoping to do some more. One problem though, is that timelapse using a DSLR means a lot of shots. Which means a lot of shutter actuations. And seeing as shutter units are only rated for so many actuations, that means the more timelapse I do the quicker my camera is going to die. In other news, I've also been interviewed for somethingwelike.com, so you fancy a read you can find the article here. So, I have my new tripod now! Manfrotto 055XPROB & 468MG head with RC2 plate. Love it to bits, it's infinitely more stable than the cheap one I've had for ages, and much taller. Even without the center column extended it's a perfect height for me to use standing up (at 6'0"), which is great. The head is great too, especially the pan scale marked with degrees - very useful for panoramas. The freedom of a ball head is remarkable too, compared to the 3-way I had before. On a different note - I've been noticing lately that when I upload my images to dA they lose a noticeable amount of saturation, which is quite annoying. Does any one know why this might be? And how I'd go about solving this problem? I'd really appreciate any assistance. In fact, the whole of ivancoric's gallery is very highly deserving, and doesn't get anywhere near the attention it should - go take a look. Oct 20, 2012 Wallpaper/Full resolution images? Feb 7, 2011 My first DD! !